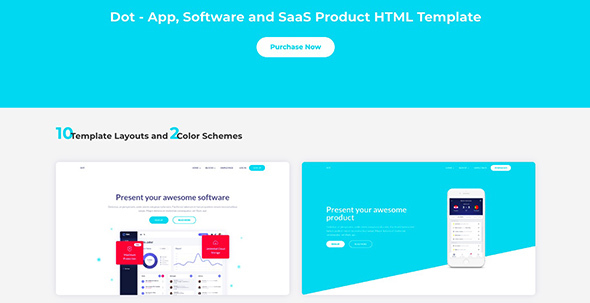 These are some of the best SaaS and software PSD templates on the web! These creative SaaS templates come as fully layered PSD files with unique and creative designs. Their layouts are super clear and clean and pixel perfect. These SaaS and software PSD templates are fully customizable and retina ready. They come with free Google fonts and most of them offer great support 24/7 too! Use these awesome PSD templates to ease your work! Check out all of their most important features below. 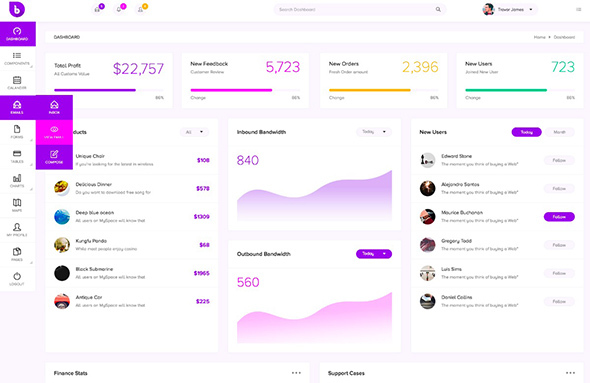 Inner Bliss is an admin dashboard PSD template with a modern design. It comes with a huge set of UI elements you can use for web apps. This can be used to create custom admin panels, project management systems, admin dashboards, SAAS, CMS or CRM etc. It can be downloaded in PSD files that are very well organized. It is built on a 12 column grid (1170px) and grouped for easy usage. 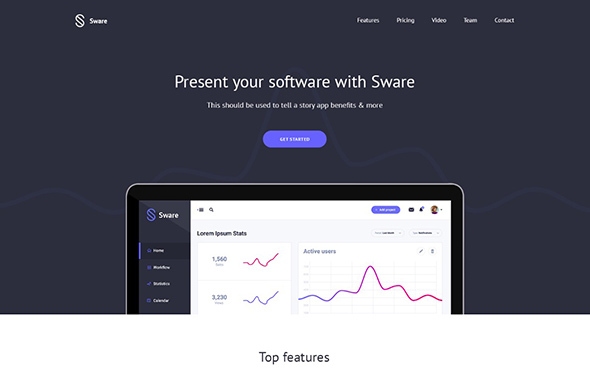 Sware is a SaaS & Software landing page PSD template. You can use it to showcase your SaaS products, web apps, software and more. It has a professional, clean design with all the features needed for an effective landing page, such as lead generation!. The PSD files are easy to customize. Here’s another creative startup landing page built on the Bootstrap 4 grid system. This is fully responsive. It comes with 8 different homepage designs and has a mobile-first approach. PSD file is included. 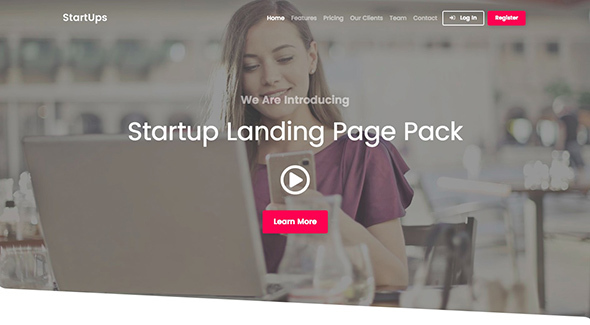 Spring is a landing page for selling software, apps, SaaS and more. It uses an 1170px grid and a clean and modern UI. It offers the best user experience for your visitors. 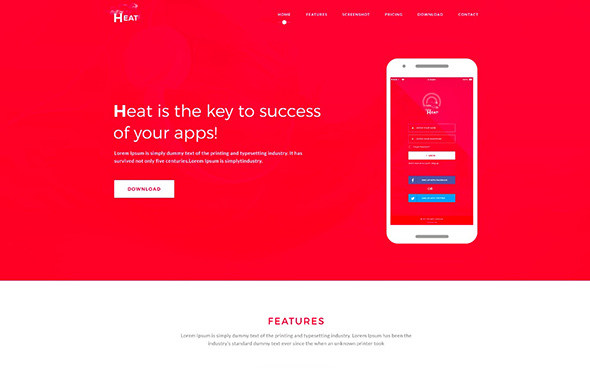 Heat is a PSD template you can use for apps and other tech businesses. It is designed on a 1170px grid system and you can easily convert it into an HTML template or a WordPress theme. 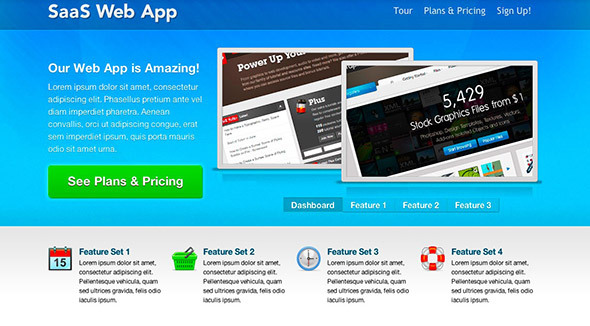 APPRO is another powerful app landing page that comes as a fully layered PSD template. It is 100% responsive and helps you promote your startup online. 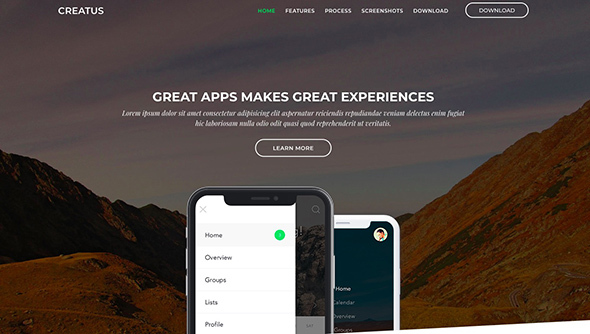 Alight PSD Template can be adapted to any type of app website. It can be used by startups in the tech and IT niches. It is based on a 1170px grid system and can be easily converted into an HTML or WordPress template. 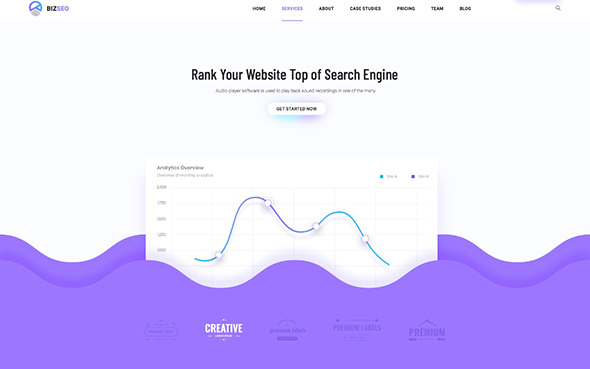 BIZSEO is a creative SEO-optimized PSD template. Use this PSD template to promote your start-up, app, SaaS applications, software, and any other digital products. it offers a clean and unique user experience. 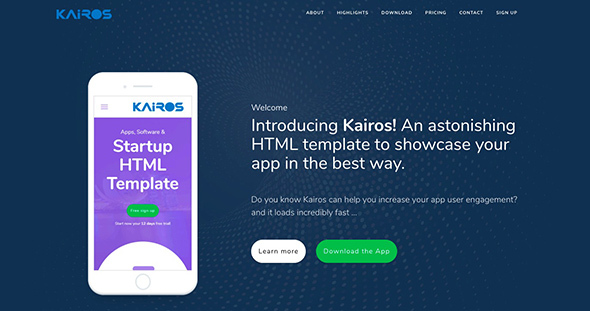 Kairos is an HTML template that’s fully customizable. You can use it to showcase software solutions, SAAS products, apps and more. It was built on Twitter Bootstrap Framework 4.0. 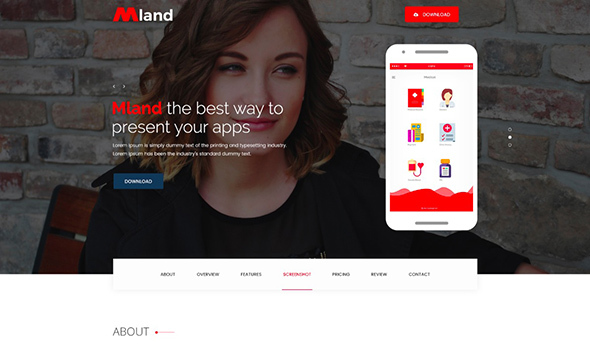 Mland PSD Template is another app landing page website that can be easily transformed into an HTML or WordPress site. Use it to market your mobile apps or software. 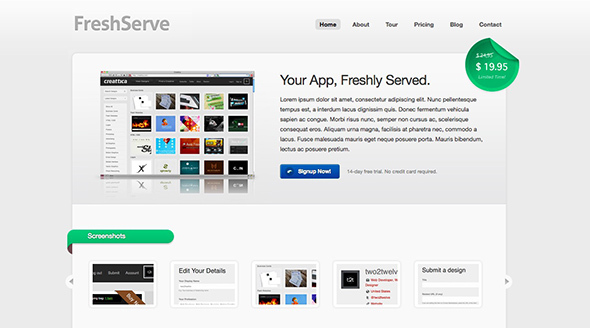 FreshServe is a website theme with a fresh and clean layout. It comes with 7 different page styles and 8 color options. It is customizable, easy to use, and the PSD is also provided. 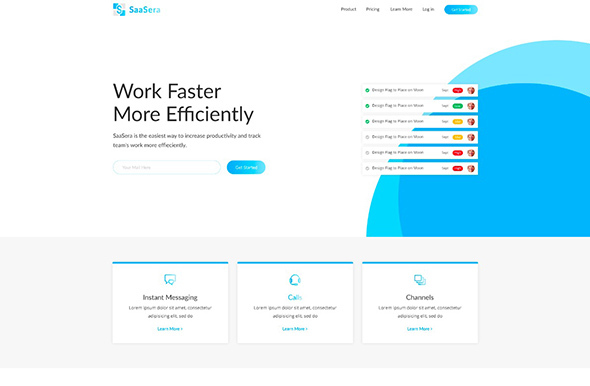 This is another great SaaS HTML theme created with the purpose of marketing your SaaS web application. It comes with 6 pre-made color schemes and lots of cool features. Dot is a responsive HTML5 template. It can be used to market your app, SaaS products or startup. It has a user-friendly design, it’s responsive and includes 10 home page designs. 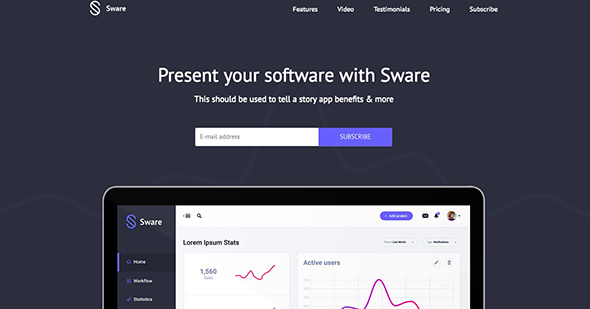 Sware is a SaaS Instapage template you can use to promote your SaaS products. It also comes with an editable PSD file and lots of amazing features for an optimum marketing strategy. Your site will be fast and fully functional. This PSD template is ideal for tech startups, apps, IT businesses and SaaS products. Use it to launch your business online. It can be easily converted to HTML and WordPress. 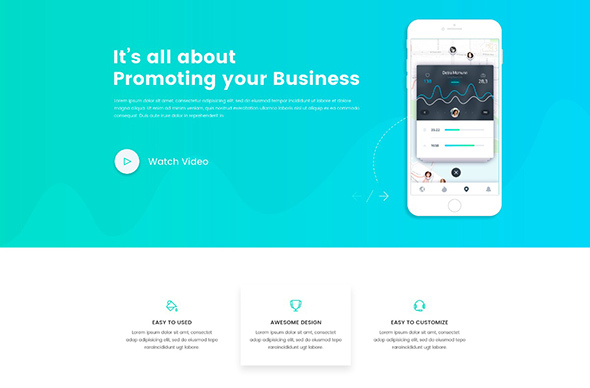 Creatus is another great app and SaaS landing page. It has a high performance and flexible design, plus it is responsive! Use it o promote your apps. Customization can be easily done to match your branding. The files are neatly organized too. 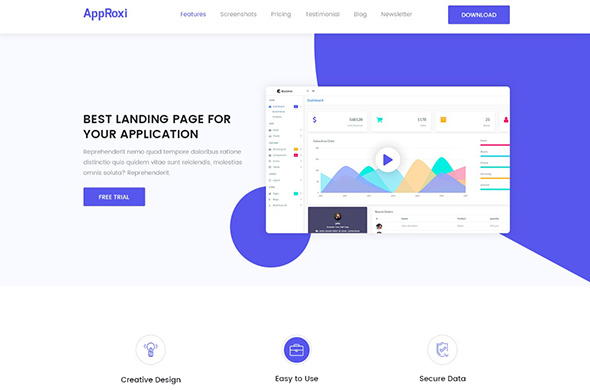 AppRoxi is a software landing page PSD template. 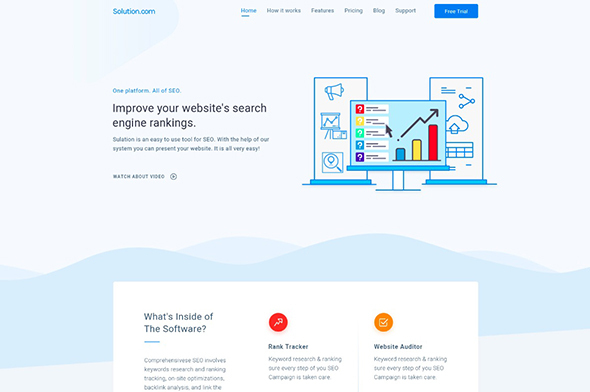 It’s perfect for one-page websites with the purpose of marketing web apps, SaaS products, mobile apps, and more. This pixel perfect template has a clean and modern design. 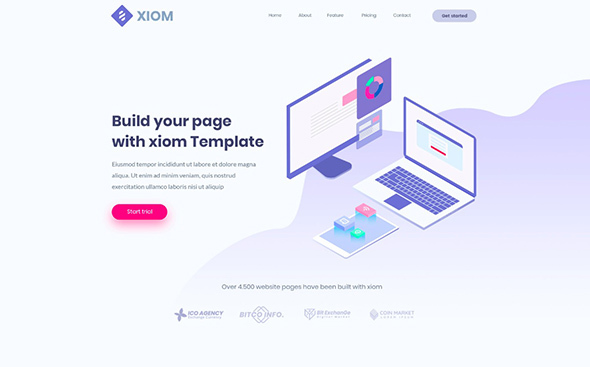 XIOM is a unique template for SaaS-related businesses. Its minimal design will make it stand out from the rest. It comes as a fully editable and organized PSD file. Kick start your projects with this awesome template. 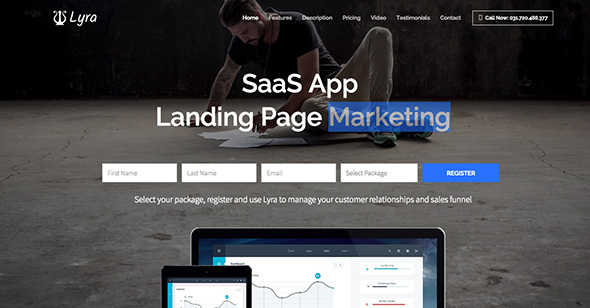 Lyra template is a perfect SaaS application landing page that will help you convert visitors into clients. 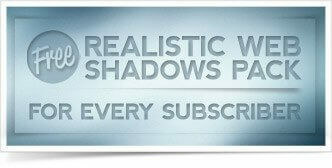 This comes as an HTML template but the PSD is also provided. 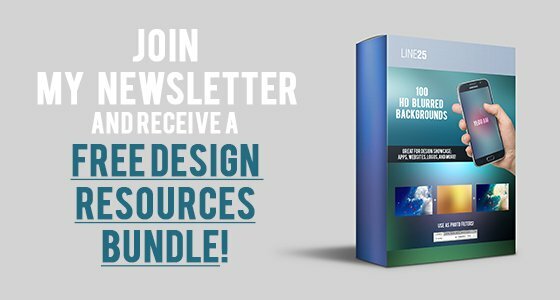 Contains extra pages for additional content, lightbox popups, and more. 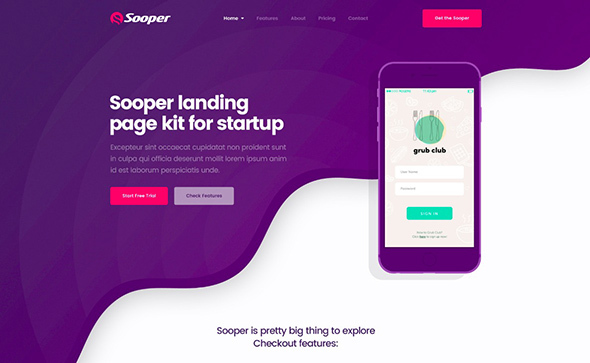 Sooper is another great SaaS, mobile app landing page template with a bold and colorful design. This PSD is very well organized and has all the pages needed for an app LP. Customize it with ease by changing the colors, moving elements, and more. Convert it to HTML or WordPress and have an amazing site in a matter of hours.